100% plant based. Source of fibre. High in protein. Low in saturated fat. Source of vitamin B12 & iron. Vegan. This product contains added iron and vitamin B12. 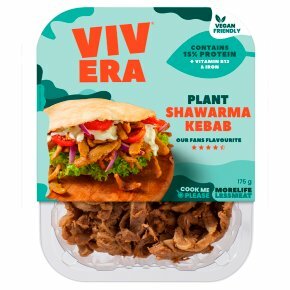 Your convenient plant based alternatives: 100% Plant Based 100% Tasty 1. Your tasty... 2. Plant based.... 3. Replacement... 4. For a tasty... 5. Shawarma kebab!